Things aren't looking too great for R. Kelly right now. Following the airing of Surviving R. Kelly on Lifetime, the #MuteRKelly campaign has been in full effect. Two radio stations in Dallas have already implemented a ban on the singer's music and dozens of his former collaborators and peers in the music industry have condemned him and the people around him for enabling his behavior. However, in Germany, it seems as if there's still a high demand for Kellz. 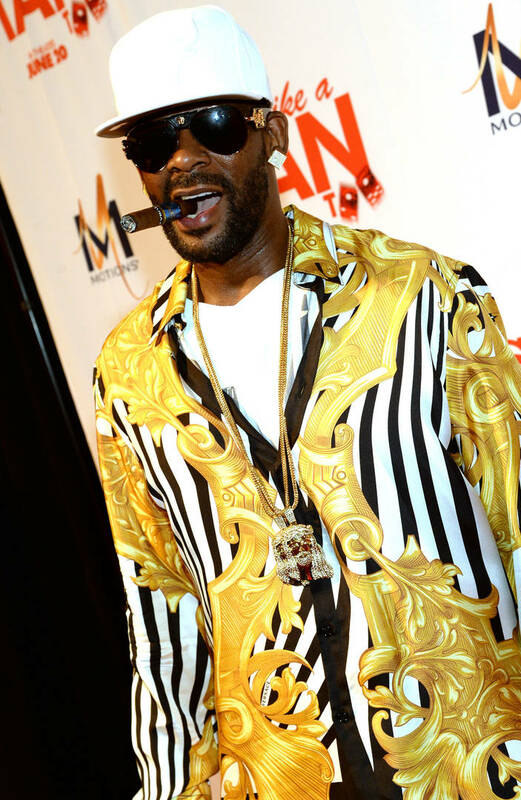 TMZ reports that R. Kelly is still getting booked for shows, but only in Germany for the time being. The singer just lined up concerts in Ludwigsburg, Hamburg, and Oberhausen. Tickets for the Ludwigsburg are pretty pricey -- $115 and up. There's even a meet and greet package that's going for $335. The shows in Hamburg and Oberhausen were on recently confirmed in the past few days, right after Lifetime's Surviving R. Kelly aired. The rep for the venue in Ludwigsburg said they're aware of everything happening in the U.S. "You can be assured that we are carefully following the situation and, if necessary, will act accordingly," the rep said. R. Kelly is currently under investigation in Fulton County, GA and Chicago police need witnesses and victims before they can move forward with any legal action. However, Prosecutor Kim Foxx from the State's Attorney Office said they've been in contact with two families who've dealt with the singer.